Show us your creative side by adding some color to our MetroBus fleet at the St. Louis Earth Day Festival this Sunday in Forest Park. 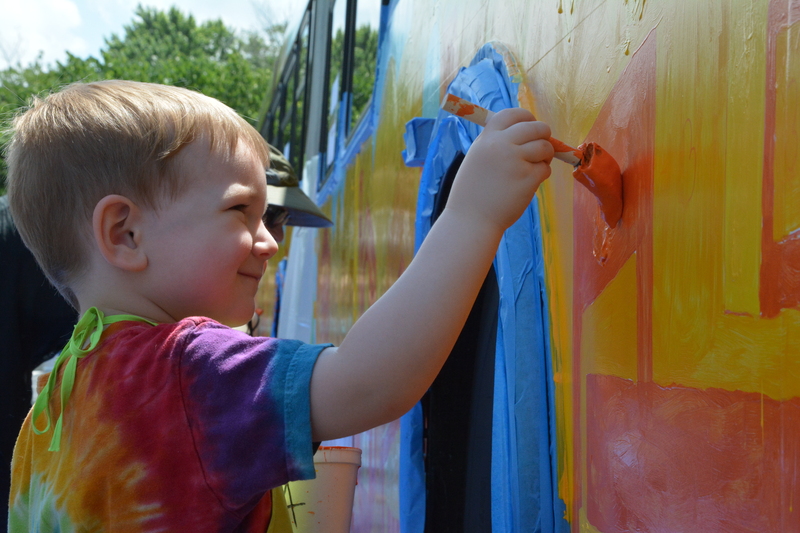 Festival attendees of all ages are invited to help paint two specially designed Earth Day murals onto a MetroBus that will transform it into a rolling work of art. 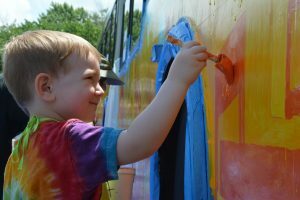 The bus painting event will be located on the Muny grounds at Forest Park near the intersection of McKinley and Theatre Drive from 1 p.m. to 3 p.m. The event is free and open to the public. Local artist Genevieve Esson created the mural designs and she has previously designed several public art pieces featured in the St. Louis area, including a Metro Arts in Transit Bus painting for the Missouri Botanical Garden and four cake sculptures for last year’s STL250 celebration. In about two weeks, this bus will join the Art Bus Fleet, which is part of Metro’s Arts in Transit Program. The murals will stay on the MetroBus for one year as it travels along various routes throughout St. Louis and St. Louis County. Bi-State Development Agency/Metro is one of the main sponsors of the St. Louis Earth Day Festival. In addition to the bus painting, Metro will showcase an all-electric bus the agency is currently testing and will have a booth with transit information, giveaways and details about the agency’s new mobile transit application, Metro On The Go. The information booth and art bus painting will be located on Theatre Drive near the Muny’s main entrance in Forest Park on Sunday. The Metropolitan St. Louis Sewer District is sponsoring the Metro Arts in Transit Bus painting.